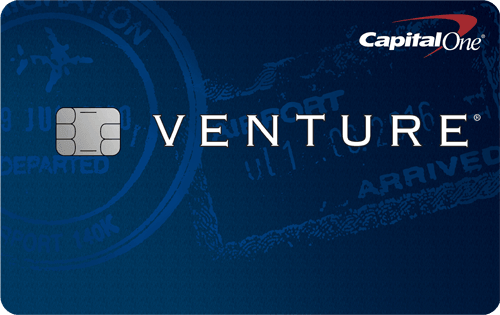 Looking for a credit card, but not willing to fork over the money for an annual fee? We don’t blame you — annual fees can be upwards of $500. In fact, the average credit card annual fee among cards with fees is $147, according to a 2018 study by ValuePenguin*. Many people may think annual fee cards are the only way to enjoy rewards and exclusive cardholder perks, but no annual fee cards can be just as beneficial. Whether it’s earning rewards points or cash back, saving on interest payments with intro 0% APR periods, or simply building credit, no annual fee cards have a lot to offer. We’ll review the best cards with no annual fee in several categories, so you can find the card that’s right for your needs. We chose no annual fee cards that offer competitive rewards programs as well as increased customer value through additional benefits like sign-up bonuses, no foreign transaction fees and more. Cards that offered 0% intro periods in addition to rewards and other perks were ranked higher. Best for: If you want a versatile $0 annual fee card, The Amex EveryDay® Credit Card from American Express provides you a wide range of features that are unmatched compared with competing $0 annual fee cards. Why we like it: You can benefit from an intro 0% for 15 Months on purchases and an intro 0% for 15 Months on balance transfers (after, 15.24% - 26.24% Variable APR) with a hard-to-find $0 balance transfer fee. There is also a rewards program and travel, shopping and entertainment perks, making this card a comprehensive offering. The rewards program allows you to earn real airline miles that can be transferred to participating frequent traveler programs mostly on a 1:1 basis. Earn 2x points at US supermarkets, on up to $6,000 per year in purchases (then 1x), 1x points on other purchases. And, there’s a welcome offer where you can earn 10,000 Membership Rewards® points after you use your new Card to make $1,000 in purchases in your first 3 months. Good option for balance transfers or large purchases: This card can be a good choice if you have existing debt on a non-American Express card and are looking to complete a balance transfer or plan on carrying a balance from an upcoming large purchase like a TV or laptop. There’s an intro 0% for 15 Months on purchases and intro 0% for 15 Months on balance transfers with a $0 balance transfer fee. After the intro periods end, a 15.24% - 26.24% Variable APR applies. Remember to transfer balances within the first 60 days from account opening to take advantage of the intro offer. Other benefits: Earn 20% extra points on your purchases when you use your card to make 20 or more transactions in a billing period. Additional perks include travel accident insurance, free two-day shipping and returns with select merchants via ShopRunner, ticket presales and exclusive seats for concerts and sporting events, and more. Best for: If you’re looking for a solid cashback card, the Citi® Double Cash Card – 18 month BT offer can earn you a great flat-rate on all your purchases and you can benefit from the potentially money-saving Citi® Price Rewind feature. Why we like it: This card can earn you a consistent cashback rate on all spending — Earn 2% cash back on purchases: 1% when you buy plus 1% as you pay. There are no quarterly categories or activation required. And, you can even earn the 1% cash back from paying for purchases over time as long as you make at least the minimum payment. But we recommend paying as soon as possible so you avoid interest charges and earn the cash back quicker. Good choice for balance transfers: This card doubles as a good option for balance transfers. You can utilize the intro 0% for 18 months on Balance Transfers* (after, 15.74% - 25.74%* (Variable) APR). But, keep in mind there’s a balance transfer fee — 3% of each balance transfer; $5 minimum. However, it’s often outweighed by the amount you save on interest. Other benefits: Register eligible items with Citi® Price Rewind and a 60-day search for a lower price will begin. If a lower price is found, you may be reimbursed for the difference between what you paid and the price found. Receive special ticket access to various entertainment events like concerts, sporting and dining events in select cities with Citi® Private Pass®. Read our review of the Citi® Double Cash Card – 18 month BT offer. Best for: Frequent travelers may benefit from the cashback program of the Uber Visa Card that’s tailored to typical travel purchases like hotel and airfare. Plus, this card is great if you travel abroad since there are no foreign transaction fees. Why we like it: This card has a robust cashback program with 4% back on dining, 3% back on hotel and airfare, 2% back for online purchases, and 1% on everything else Purchases eligible for the 3% rate include hotel, airfare, travel agencies and home-share exchanges like Airbnb. Since you most likely dine out when traveling, the 4% back you earn from dining purchases like restaurants, bars and fast food has the potential to add up to a lot of cash back. Convenient redemption options: The cash back you earn can conveniently be redeemed on the go for Uber credits — you need a minimum of 500 points to redeem — which is great if you need to commute when you travel. Other redemption options include cash back or gift cards starting at 2,500 points. Other benefits: New cardmembers can earn $100 after spending $500 on purchases in the first 90 days from account opening. Also, if you spend $5,000 or more on your card per 12-month period, you can receive up to a $50 credit for online subscription services. The information related to the Uber Visa Card has been collected by CompareCards and has not been reviewed or provided by the issuer of this card. This offer/promotion may have since changed, expired or no longer be available. Best for: If you’re carrying debt on an existing credit card, the Discover it® Balance Transfer can provide you with a way out. It provides you with an intro 0% for 18 months on balance transfers (after, 14.24% - 25.24% Variable APR) that may be enough time to pay off your debt, plus additional value with its cashback program. Why we like it: You can use this card to finally rid yourself of debt when you transfer a balance and pay it off before the intro period ends. Keep in mind the balance can’t be from another Discover card. Take advantage of the intro 0% for 18 months and be sure to pay off your balance during that time period since a 14.24% - 25.24% Variable APR applies afterward. There is a standard 3% balance transfer fee, but it’s often outweighed by the amount you save on interest. 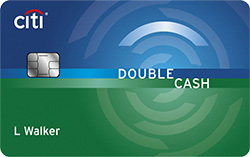 Beyond the balance transfer intro period, this card provides long-term value with the ability to earn 5% cash back at different places each quarter like gas stations, grocery stores, restaurants, Amazon.com and more up to the quarterly maximum, each time you activate, 1% unlimited cash back on all other purchases - automatically. Other benefits: Discover will automatically match all the cash back you earn at the end of your first year. * And, this card has 100% U.S.-based customer service available anytime, fraud monitoring services, no foreign transaction fees and more. Read our full review of the Discover it® Balance Transfer. Best for: Small business owners who often spend at office supply stores and on internet, cable and phone services can earn a good cashback rate with the Ink Business Cash℠ Credit Card, named “Best Rewards Card for Small Business Owners” by Kiplinger’s Personal Finance in 2017. Why we like it: This card offers a competitive rate on typical business spending. Earn 5% cash back on the first $25,000 spent in combined purchases at office supply stores and on internet, cable and phone services each account anniversary year. Earn 2% cash back on the first $25,000 spent in combined purchases at gas stations and restaurants each account anniversary year. Earn 1% cash back on all other card purchases with no limit to the amount you can earn. Good option for new purchases: If you need to make new purchases for your business like computers or printers, there’s an intro 0% for 12 Months on purchases. When used responsibly, that can be a great way to finance new purchases without accruing interest. Beware once the intro period ends, you’ll be charged a 15.49% - 21.49% Variable APR. Other benefits: There’s a sign-up bonus where you can earn $500 bonus cash back after you spend $3,000 on purchases in the first 3 months from account opening. This card also offers employee cards at no additional cost, travel and emergency services, auto rental collision damage waiver and more. 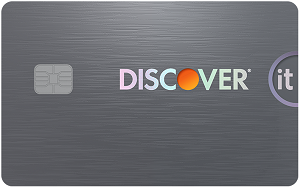 Best for: If you’re looking to build credit, the Discover it® Secured is our top pick and provides the opportunity to raise your credit score while benefiting from rewards. Why we like it: The Discover it® Secured can help you establish or reestablish your credit with a reasonable $200 security deposit. The deposit becomes your line of credit, so if you want a higher credit limit, you will need to deposit more money. As a result, the credit limit you have with a secured card is usually significantly lower than regular, unsecured cards. This is ideal if you’re looking to build credit since you won’t be tempted by high limits. This card also offers a rewards program where you can earn 2% cash back at gas stations and restaurants on up to $1,000 in combined purchases every quarter, automatically. 1% unlimited cash back on all other purchases.. Simple transition to an unsecured card: Discover will automatically review your account starting at eight months from account opening to see if you can be transitioned to an unsecured card (ie. a regular card) and refunded your security deposit. Other benefits: There’s an added peace of mind with Discover’s fraud monitoring services, plus other perks like no foreign transaction fees and 100% U.S.-based customer service available 24/7. 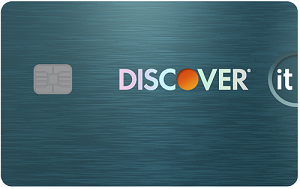 Also, Discover will automatically match all the cash back you earn at the end of your first year. Read our full review of the Discover it® Secured. No annual fee cards can provide you with more benefits than you may think. You can receive generous sign-up bonuses, long 0% intro periods, and the ability to build credit — all while enjoying not having to pay a fee. And, in some cases, these cards can even rival cards with annual fees. No annual charge to carry the card. The top perk of no annual fee cards is the lack of an annual fee. You don’t have to worry about paying a fee each year just to have the card or about spending enough to make the fee worthwhile. A wide range of benefits. Many no annual fee cards provide a lot of the same benefits of cards that have annual fees. You often can still receive competitive rewards, no foreign transaction fees, travel insurance and more depending on the card you choose. Typically better 0% intro periods. Cards with no annual fee tend to have longer 0% intro periods and better terms than cards with annual fees. For example, there are numerous no annual fee cards that offer 18-month 0% intro periods or intro $0 balance transfer fees — while we couldn’t find any annual fee cards that offer those features. Good for building credit. If you’re looking to build or rebuild credit, no annual fee cards may be a better option than annual fee cards since they provide the basis for improving your score without the worry of paying an annual fee. *This post contains links to ValuePenguin, an affiliate of LendingTree, CompareCards parent company.